Having a durable camping char with canopy is perfect for all types of outdoor activities like the beach, tailgating, picnics, cookouts, and of course, camping. The chair is made from a tough polyester fabric that is water and stain resistant. A portable and foldable chair with a canopy is a great gift idea for anyone who spends time outside. It will leave everyone taking a beating from the sun or rain super jealous. From the beach to the campsite, they will find tons of uses for this chair. The chair has a patented design that allows the sun shade to raise, lower, and even tilt to block the sun from whatever direction it’s coming from. The chair is rated to support 225 lbs. The chair itself has the dimensions of 30 inches long by 34 inches wide by 49 inches tall when expanded. The seat sits 18 inches off the ground. The product weighs 9 pounds. 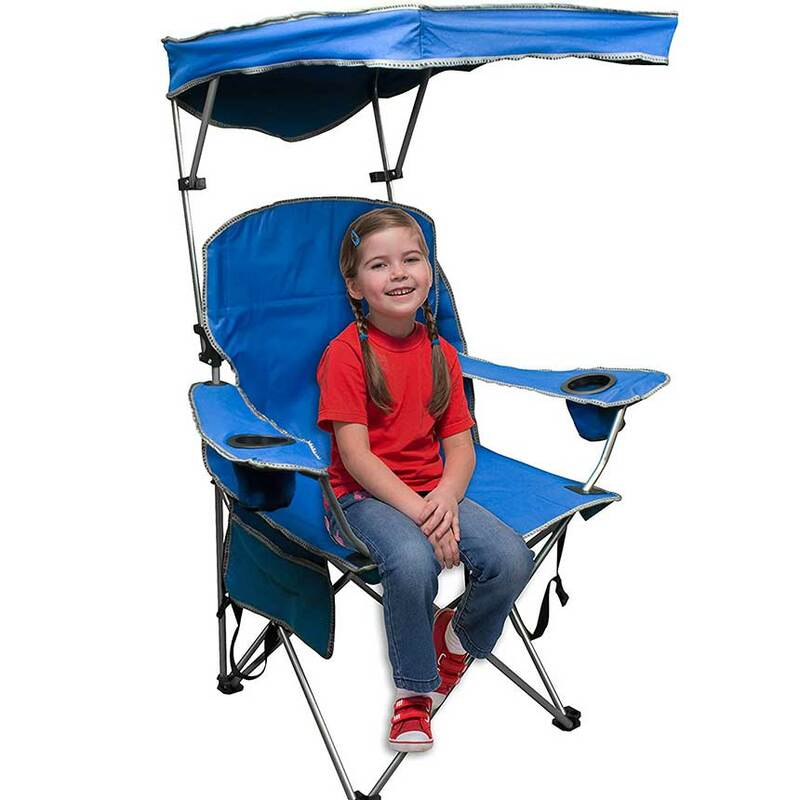 Once you experience a chair with a canopy, you’ll wonder why you ever used a standard folding chair. The canopy is not removable, but It does drop behind the chair out of the way. It includes a carrying bag, but it does have a handle, so it can be easily carried and moved without the bag. For the money this chair is a steal! If there is anything you want to know feel free to ask a question in the comments section.